Who are the Harajuku Girls? 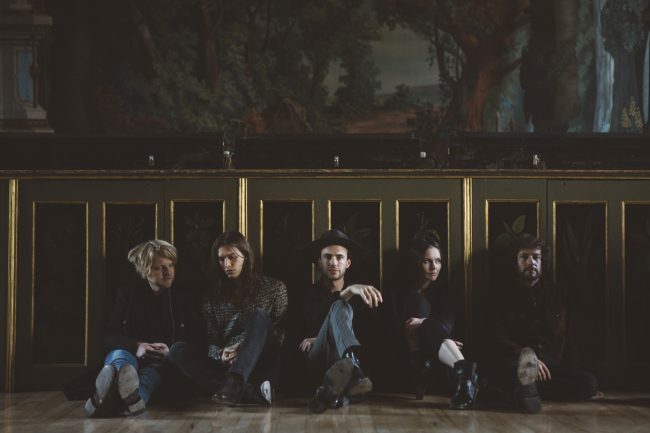 The London based indie rock band The Veils is renowned for its decadent fascination, combining dark vibes with more maudlin and mournful melodies. Ever since their first debut, different personalities from cinema industry have definitely fallen in love with the band’s works, and movie directors such as Paolo Sorrentino and Tim Burton chose respectively ‘Nux Vomica’ for Il Divo (2008) and ‘One Night on Earth’ for Frankenweenie (2012) as part of their film soundtracks. Afterwards last year David Lynch chose them to feature one of Twin Peaks’ third season episodes. A huge interest for what is called “american nightmare” as well as their gloomy hearts fit in perfectly with Lynch’s impulsive experimerimentalisms. of something like a grotesque spiritualism, which has peaked in 2016 with the publication of “Total Depravity”, the band’s fifth album. In particular, the single ‘Axolotl’ comes with a video directed by Tu Neill, who stages a nightmarish scenario where misfitting individuals stay still while observing a preacher being transmuted in a reptile. Finn Andrews sings, wondering how existence can tear one’s soul apart. Posted on October 25, 2017 March 7, 2018 by antoniaspagnardi	This entry was posted in SNAPS and tagged axolotl, dark, david lynch, decadent, indie rock, music, the veils, twin peaks. Bookmark the permalink.